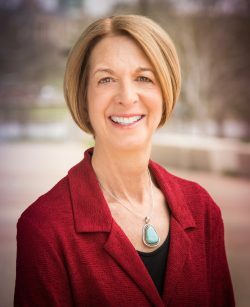 Dr. Sue Curry is currently the Interim Executive Vice President and Provost of the University of Iowa and serves as a Distinguished Professor in the Department of Health Management and Policy. She previously served as Dean of the University of Iowa College of Public Health since 2008. Her leadership at a national level also includes currently serving as the Vice-Chair of the US Preventive Services Task Force. She also held senior leadership positions at the Institute for Health Research and Policy in the University of Illinois at Chicago School of Public Health, University of Washington School of Public Health and Community Medicine, and the Group Health Cooperative in Seattle. Dr. Curry’s research profolio exemplifies excellence in translation of behavioral science interventions in the area of chronic disease management and health policy. Her nationally funded program of research for more then three decades is recognized internationally for her expertise in behavioral science and translation of research findings into health policy. Her work focuses specifically on health policy, behavioral risk factor modification, cancer prevention and control, and community-based and self-help interventions. Her extensive research in chronic disease prevention and management also includes studies of tobacco cessation, dietary change, modification of risky drinking patterns, and methods of increasing compliance with recommended cancer screening. She has published over 180 peer review articles and her research also encompasses timely studies of the use and cost effectiveness of prevention treatments under different health insurance plans, and health care costs and utilization associated with tobacco cessation. Dr. Curry has had continuous grant funding since 1980 from the National Institutes of Health, the Center for Disease Control and Prevention, and from the Robert Wood Johnson Foundation. Dr. Curry has also been a national leader and is a member of the National Academy of Medicine (formerly the Institute of Medicine) and a fellow of both the American Psychological Association and the Society of Behavioral. She is the recipient of numerous awards, including the American Society for Preventive Oncology’s Joseph R. Cullen Memorial Award in 2000, the Society of Behavioral Medicine’s Distinguished Scientist Award in 2001, and the Society for Research on Nicotine and Tobacco’s John Slade Award in 2015. Dr. Curry’s many professional activities include past service as Vice Chair of the Board of Directors of the American Legacy Foundation, member of the Board of Scientific Advisors for the National Cancer Institute, and member of the US Preventive Services Task Force from 2009-2014. Dr. Curry’s current activities include membership on the CDC’s Interagency Committee on Smoking and Health, Association of Schools and Programs of Public Health Board of Directors, and the Membership Committee and Board on Population Health for the Institute of Medicine. Please join me in congratulating Dr. Sue Curry for her outstanding contributions to Health Psychology as a senior professional. 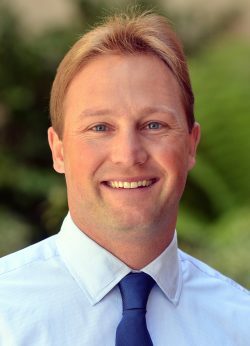 George is an accomplished early career health psychologist whose outstanding publication record is punctuated by several highly impactful articles that integrate across social, neural, immunologic, genetic, and genomic levels of analysis to elucidate psychological and biological mechanisms underlying human health. 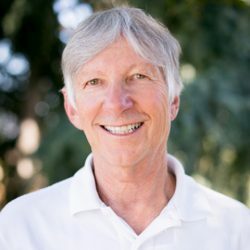 Most notable, George is generating new knowledge, ideas, and theories that are helping define new frontiers in health psychology, as evidenced for example in his and Dr. Irwin’s comprehensive review in Psychological Bulletin published in 2014. This vast review, already cited over 300 times, describes the first fully integrated, multi-level theory involving these processes, i.e., Social Signal Transduction Theory of Depression. Additionally, George’s original work has begun to identify the full set of psychological and biological mechanisms linking social stress and disease, which cut across all major levels of analysis in a highly integrated and sophisticated manner. For example, George has disovered what brain regions underlie inflammatory responses to social stress as published in the Proceeding of the National Academy of Science, and has further shown that targeted rejection life events reach deep inside the body to activate intracellular signaling molecules that regulate systemic inflammation. Moreover, it is important to note that George has pioneered new methodologies for the assessment of adverse life experiences, and created the first online system for assessing lifetime stress exposure. This approach, coined the STRAIN, systematically asks people about different types of stressors that they may have experienced since childhood. The STRAIN is now extensively utilized in several NIH funded projects as recognized by his leadership as Associate Director of the NIA-Supported Stress Measurement Network. Not surprising given the strengths of George’s innovative and impactful scholarship, he has received competitive awards from the National Institute of Health, NARSAD, and other private foundation grants, as well numerous other early awards including the Miller Award from the Academy of Behavioral Medicine Research. George is also a gifted teacher; he has been awarded the UCLA Award for Best Research Mentor, which speaks to his generatively in training new investigators. In closing, Dr. Slavich has enormous upside potential and we anticipate that he will continue his work and emerge as a leading scientist in health psychology in years to come. Dr. Robinson has made so many significant contributions to the advancement of health psychology that I’m going to have difficulty covering them all here in the time I have. Dr. Robinson has been a longtime member of APA and Division 38. She received her PhD in 1978, and only several years later began contributing to health psychology with work that would prove crucial in the movement to integrate behavioral health into primary care. To this day, she remains passionate about primary care behavioral health integration (as she writes in one of her books, she “eats, drinks and breathes primary care”) and has become one of its best-known advocates. Yet she has also become known for her work in ACT (acceptance and commitment therapy), applying it in particular to chronic pain and the teaching of primary care physicians. Indeed, one of the most noteworthy aspects of Dr. Robinson’s career is how varied her activities have been. She is that rare professional who has managed to make significant contributions in almost every arena possible. In her research, clinical practice, consultation and training (to organizations and individuals), and her many technical and self-help publications, Dr. Robinson has altered the course of health psychology and changed the lives of many. Worth noting is that Dr. Robinson’s work has also extended well beyond health psychology. She is widely considered one of the most prominent experts in the world in the practice and dissemination of ACT, and frequently consults, speaks and writes about ACT. Also worth noting, beyond the academic facts, is that while she was busy achieving all of these success markers, Dr. Robinson was also busy making friends of pretty much everyone she comes across. Yes, she is accomplished; but she is also kind, fun, humble, thoughtful and giving. She cares deeply about not only her work but also the people she works with, the people she serves, and whoever else she comes across along the way. For all of these reasons, I want to say thank you to Dr. Robinson on behalf of our profession and the countless friends and colleagues you’ve made throughout your career. I am very happy to present you with the 2017 Award for Outstanding Contributions to Clinical Health Psychology. Dr. Klonoff is Board Certified in Clinical and Clinical Health Psychology and is the current President of the American Academy of Clinical Health Psychology. Her contributions to training and education in health psychology are immeasurable, and her impact on the field will be felt for many years to come. Dr. Klonoff is the Vice President for Research and Dean of the College of Graduate Studies at the University of Central Florida. 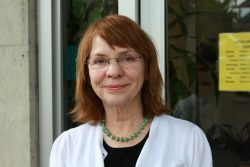 Prior to assuming her current role, for 16 years she served as Co-Director of Clinical Training at San Diego State University/University of California, San Diego Joint Doctoral Program in Clinical Psychology, a pre-eminent training program in health psychology, and she continues her affiliation there in the role of Professor Emerita. Her research activities examine cultural and gender diversity in health and illness; psychological and health consequences of discrimination; tobacco control policy; health promotion, disease prevention, and behavioral risks to health; African-American acculturation and health; psychophysiological disorders in children and adults; and reactions to chronic illness. She is the recipient of numerous federal, state, and foundation grants from such agencies as the National Cancer Institute, NIH/NCRR, and the California Department of Health Services, to name a few. She has served as a grant reviewer for numerous agencies to include NCI, various sections of NIH, the National Science Foundation, and the California Department of Health Services. Dr. Klonoff does not shy away from national service. She is a past President of SfHP, the 2007-2008 Program Chair at convention, and served as a division representative on APA Council of Representatives from 2014-2017. She was a member of the 2015-2017 APA Board of Educational Affairs and she served two terms on the APA Commission on Accreditation where she was elected as Associate Chair for Quality Assurance in 2010 and 2011, and also served as chair of COA in 2012 and 2013. Importantly, Dr. Klonoff served an instrumental role in the monumental task of developing the newly implemented Standards of Accreditation which went into effect in January 2017. From 2008-2011 she was Chair of the Council of University Directors of Clinical Psychology, served on the CUDCP executive board from 2005-2011, and again from 2014-2016. She served as an Associate and Senior Associate Editor of Health Psychology, Journal of Behavioral Medicine, The American Psychologist and Training and Education in Professional Psychology. 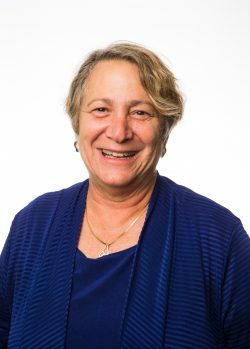 In recognition of her significant contributions specific to education and training in health psychology, Dr. Klonoff is the recipient of numerous awards and recognitions. She received the 2010 Division 38 (Health Psychology) Presidential Citation for Exceptional Service, and in 2013 she received a Citation for Excellent Commitment to the Highest Quality Graduate Student Training from the American Psychological Association of Graduate Students (APAGS). She also received the 2013 Beverly Thorn Award for Outstanding Director of Clinical Training Service from the Council of University Directors of Clinical Psychology, and she was the 2014 recipient of the Paul Nelson Outstanding Contributions to Education and Training Award from the Council of Chairs of Training Councils and the American Psychological Association. Dr. Klonoff has played a pivotal role in developing and defining competencies in health psychology. In her service to the Council of Clinical Health Psychology Training Programs (CCHPTP), she served on the Executive Board from 2007-2012. She chaired the 2010 Riverfront Conference on Education & Training in Health Psychology for SfHP (Division 38), then compiled and wrote the 2011 application which led to renewed recognition from CRSPPP of Clinical Health Psychology as a specialty. She has authored numerous publication related to training and education issues in health psychology and co-authored, with Dr. Kevin Larkin, 2014 book Specialty Competencies in Clinical Health Psychology. Dr. Klonoff was funded by the Association of State and Provincial Psychology Boards to develop and implement a standardized patient for assessment of clinical competencies, and, in a broader contribution to professional psychology, helped delineate the core competencies for the preparation of health service psychologists as a member of the Health Service Psychology Education Collaborative from 2010-2012. Dr. Klonoff’s myriad contributions to education and training in health psychology reflect an individual with a passion for excellence in education and training who is committed to the advancement of our profession. It is not surprising that UCF recruited her to her present position, where she provides oversight to all the graduate training programs. It is our distinct pleasure to honor Dr. Elizabeth Klonoff with the 2017 Cynthia D. Belar Award for Outstanding Contributions to Education and Training in Health Psychology. Dr. Kaplan has a long history of senior leadership in government, academia, and professional organizations. He is currently the Regenstrief Distinguished Fellow, Purdue University Professor of Medicine at Stanford University and Director of Research at the Stanford School of Medicine Clinical Excellence Research Center (CERC). Dr. Kaplan also served as Chief Science Officer at the US Agency for Health Care Research and Quality (AHRQ) and Associate Director of the National Institutes of Health, where he led the behavioral and social sciences programs. He is also a Distinguished Emeritus Professor of Health Services and Medicine at UCLA, where he led the UCLA/RAND AHRQ health services training program and the UCLA/RAND CDC Prevention Research Center. He was Chair of the Department of Health Services from 2004 to 2009. From 1997 to 2004 he was Professor and Chair of the Department of Family and Preventive Medicine, at the University of California, San Diego. In addition to his leadership in Federal service Dr. Kaplan is active in a variety of cross-governmental activities and academic leadership roles. He has served as co-chair of the Social Behavioral and Economics Sciences subcommittee (of Committee of Science) of the US National Science and Technology Council, within the United States Executive Office of the President. He has also held a leadership role as a member of the National Committee on Vital and Health Statistics and the Intergovernmental Working Group on Quality of Healthcare. In 2005 he was elected to the Institute of Medicine of the National Academies of Sciences. He also became chair of a large medical school department in 1996 and was the only Ph.D. chair of a clinical department in an American Medical School at the time. During his time as chair the department grew from 29 to over 90 members and NIH funding quadrupled. He is a past President of several organizations, including the American Psychological Association Society for Health Psychology, Section J of the American Association for the Advancement of Science (Pacific), the International Society for Quality of Life Research, the Society for Behavioral Medicine, and the Academy of Behavioral Medicine Research. Kaplan is a former Editor-in-Chief of Health Psychology and of the Annals of Behavioral Medicine. His 20 books and over 530 articles or chapters have been cited more than 33,000 times (H-index>94) and the ISI includes him in the listing of the most cited authors in his field (defined as above the 99.5th percentile). For example, he began doing studies on quality of life measurement in the early 1970s at a time when there was essentially no research literature on the topic. Today there are about 10,000 papers published per year that address quality of life. Early in his career, he was awarded an NIH grant to study behavioral diet and exercise as interventions to manage type 2 diabetes at a time when there were essentially no other studies in the literature that served as models for this work. Bob’s Presidential Address for Division 38 (22 years ago) also argued that medical care reimbursement should be based on patient outcomes; at a time when there was very little attention to the relationship between outcomes and reimbursement for care. AND In 1997 (20 years ago) his Society of Behavioral Medicine Presidential Address challenged the idea that cancer screenings was always a good idea and he advocated for shared medical decision-making. Although this notion is now ideal and widely accepted, it was extremely unpopular in 1997. Dr. Kaplan has been an incredible mentor to colleagues, junior faculty and graduate students over the span of his career. He has mentored some incredibly successful graduate students over the years who now serve in national leadership roles such as Liz Eakin who served as Past President of the Australian Society of Behavioral Medicine and is now the Head of the School of Public Health at the University of Queensland, Karen Calfas who serves as the Assistant Vice Chancellor at the University of California San Diego, Alan Gifford who serves as Associate Director at the Center for Health Quality, Outcomes, and Economic Research at Boston University, and Dominick Frosh who serves as Chief of Health Care Delivery for the Palo Alto Medical Foundation, and Nasleen Bhranal, Director of Science and Policy for the US Surgeon General (last administration). In summary, on a personally note I would like to thank Bob for the incredible role model and more importantly friendship he has given me for more than 30 years. There have been lots of battles but it has been a fun ride and people like him have made all our hard work in the field of Health Psychology worth it!